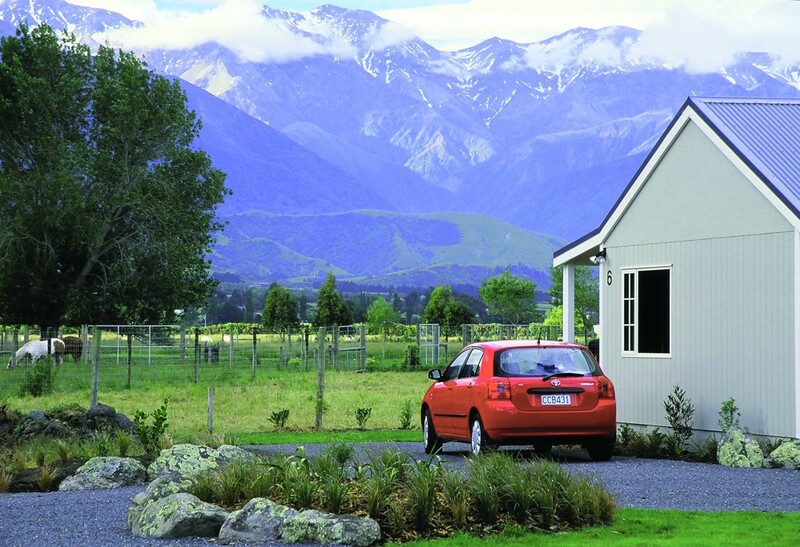 Located in the picturesque seaside town of Kaikoura, with spectacular mountain views, Kaikoura Cottage Motels are 2.5 km from the town centre and Kaikoura Whale Watch (3-minute drive). 1 km from the main supermarket and start of the restaurants. 8 fully self-contained, 2-roomed cottages, beautifully and privately landscaped. All cottages are double-glazed, well-insulated with plenty of heating and all the amenities for a warm and relaxing stay. The mountain views are absolutely magnificent and there is ample secure parking next to your cottage. Along with a children's playground there are also complimentary DVDs. Free WiFi.Kaikoura has many activities such as dolphin encounters, 4WD safaris, fishing tours, horse treks, hunting, Maori culture, mountain biking, tramping, seal swimming, scenic flights and surfing. Kaikoura, being an important fishing port, is a mecca for seafood lovers with ample fresh delicacies for all. Local specialties include groper, cod, mussels, paua and, of course, crayfish. Other delights such as oysters, scallops and whitebait are available in season. For those who are unable to catch their own or just don't want to spend time cooking while on holiday there are takeaway bars, cafes and restaurants offering a wide range of seafood meals. Please see our website for further information.We have a no pet policy.. Located in the picturesque seaside town of Kaikoura, with spectacular mountain views, Kaikoura Cottage Motels are 2.5 km from the town centre and Kaikoura Whale . . . More . . .